This March was a happening month for Apple fans as the company upgraded a number of its products including AirPods, iPads and iMacs. Last week, the Cupertino-based technology giant made the newly launched iPad Air (2019) and iPad Mini 2019 available for purchase in India. And now, the company has made the new iMacs available in the country. Let’s talk about the smaller sibling first. The upgraded device that comes with a 21.5-inch display size is powered by a 3.6GHz quad-core Intel Core i3 or 3.0GHz 6-core Intel Core i5 processor and has a Turbo Boost up to 4.1GHz. Other than this, the device has 8GB of RAM and comes with 1TB (5400-rpm) of hard drive or 1TB Fusion Drive. The 21.5-inch device comes with a Radeon Pro 555X with 2GB of GDDR5 memory or Radeon Pro 560X with 4GB of GDDR5 memory. The iMac has a 21.5-inch LED-backlit Retina 4K display. 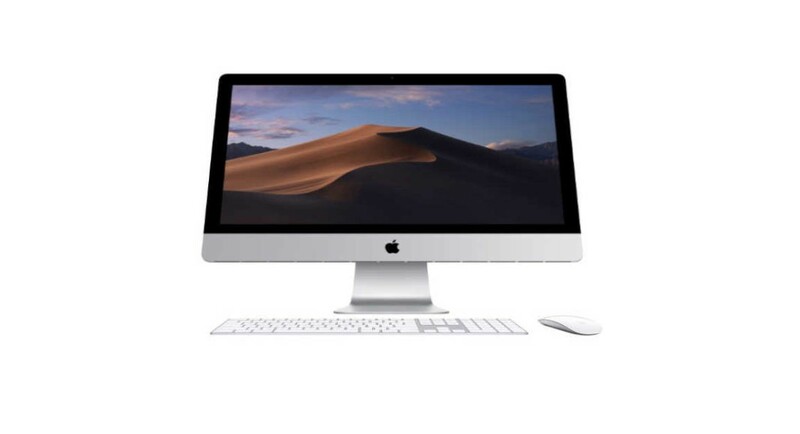 Other features of the 21.5-inch iMac include four USB 3 ports, two Thunderbolt 3 (USB-C) ports, Wi-Fi 802.11ac, Bluetooth v4.2, Gigabit Ethernet, FaceTime HD camera, and macOS Mojave. We should also mention that the new iMac comes with a Magic Keyboard and has a Magic Mouse 2 or Magic Trackpad 2. Speaking of the 27-inch model of the new device from Apple, it is powered by 3.6GHz quad-core Intel Core i3 or 3.0GHz 6-core Intel Core i5 processor and has a Turbo Boost up to 4.6GHz. The upgraded iMac has 8GB of RAM and 1TB or 2TB Fusion Drive. It clubs Radeon Pro 570X with 4GB of GDDR5 memory, Radeon Pro 575X with 4GB of GDDR5 memory, and Radeon Pro 580X with 8GB of GDDR5 memory. The new iMac has 27-inch LED-backlit Retina 5K display. Other features of the new iMac include four USB 3 ports, two Thunderbolt 3 (USB-C) ports, Wi-Fi 802.11ac, Bluetooth v4.2, and support for FaceTime HD camera. The device runs macOS Mojave and comes with Magic Keyboard and has Magic Mouse 2 or Magic Trackpad 2. Coming to the pricing of the two iMacs in India, the 21.5-inch device will cost Rs 1,19,900, while the bigger sibling with 27-inch screen bears a price tag of Rs 1,69,900.